To most Americans, Kia is the builder of fine cars for the common man, but not a badge to rival Mercedes-Benz, Lexus or Cadillac. However, for those who care more about content than cache, the 2017 K900 full-size luxury sedan may just have all the right bits to make it worth a look. 2017 Kia best buy to make if wanting to purchase a car but cannot make a decision. Car is very new, no problems. Drives nice and fast, the gas mileage is great. I have no complaints about this car as it is my dream car. If I could I would tell everyone to get this car. It is small and convenient for everyone. The radio works perfectly, the sound is great, not too low and not too loud. I sincerely enjoy this car for long drives mostly because the back seats can be put down for children to sleep. One thing i will say is that the seats tend to be uncomfortable after a while. It's great on gas and it runs really smooth on all kinds of road. It's a great vehicle I have had it ever since it was a new model and its great on gas. I have yet to run into a mechanical issue. 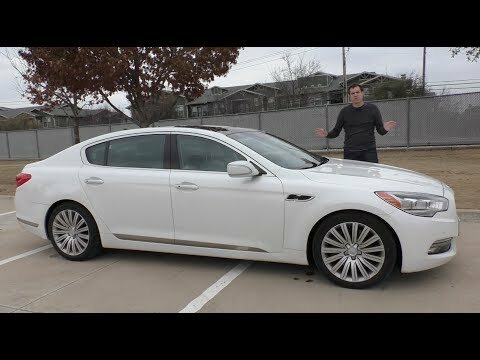 2017 Kia K900 ??? ?Luxury for Cheap! !